I'm closing in on completing my collection of "black box" nes games (you know, Balloon Fight, Mario Bros, Popeye etc...check here for more information) and thought I would start collecting what I consider to be their Japanese counterparts, the "pulse line" cartridges. I've been checking eBay pretty frequently trying to get a good deal and I managed to snag Devil World, a pulse game that was never brought to America, and the only Miyamoto-designed game to never come over as far as I know. 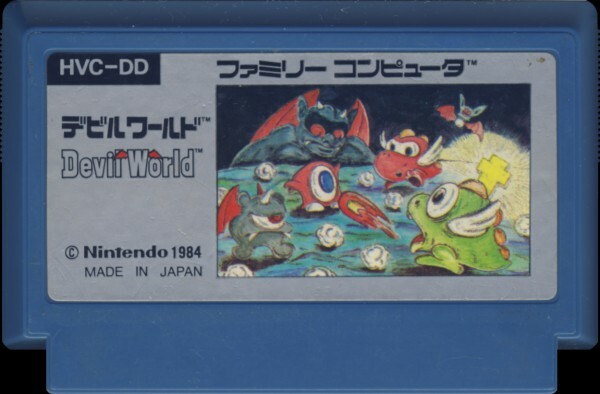 Image from the NES Cart DB. This is the later graphic label release, not the pulse line. Needless to say, the games were "as is"
It was in what I would charitably call "gamer's condition", and when it arrived I gave the contacts a good swiping with a q-tip before trying it out. Blank white screen, which I was kind of expecting. I took a pencil eraser and jammed it in there for a more thorough cleaning and after a lot of fiddling around I managed to get it to start up!...sort of. 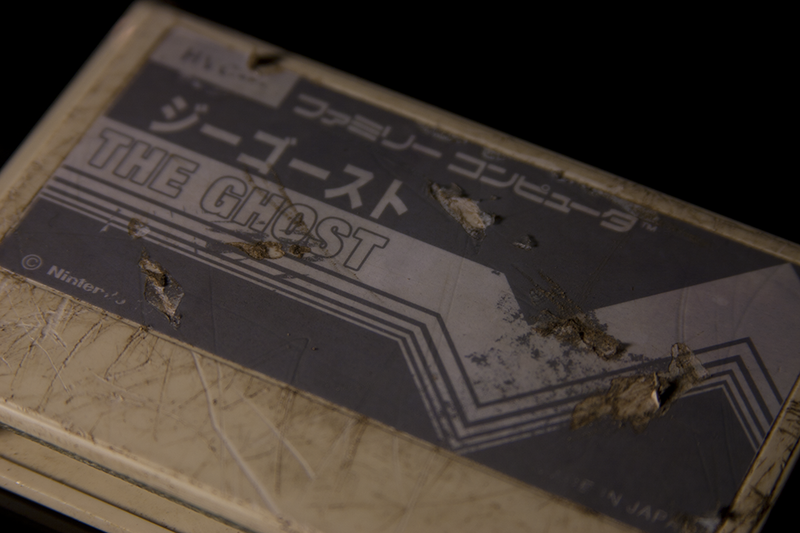 The screen showed nothing but garbled graphics tiles and randomly placed letters/japanese characters. I haven't been able to get it to play again since then, and I can't find any other information on this game online. The seller only told me it came from a friend of a friend. 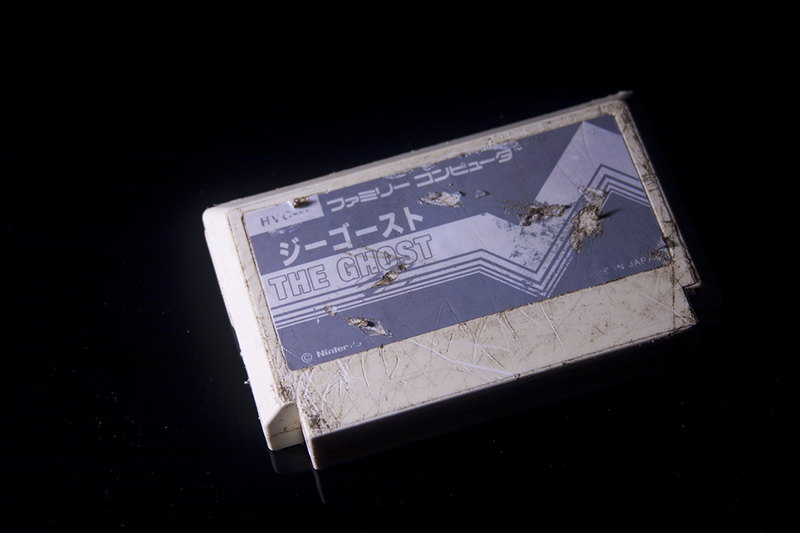 So I guess I'll chalk it up to a loss, but at least I got a neat creepy looking cart for my collection. Ever since I tried "The Ghost", none of my other Famicom games have wanted to work on that console, I've been having nightmares constantly and my dog has started barking at the walls for some reason. So that's weird too.